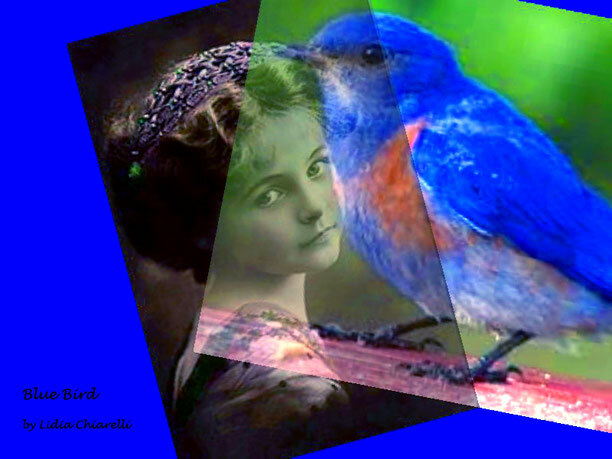 ''Blue Birds Aren't Blue'' by Natasha Rose Clarke, New York - immaginepoesias JimdoPage! adrift and confused by the sudden source of her misery. Her hair dangled in front of her eyes hiding her now faded emerald-gray gloom. She was a he and he was a she. with the scraps of fabrics she used to sew. and she wonders if she could comb through the mess. But that was months ago when she wondered. as she sleeps in demise and perspiration. Blue birds, once again, are beautifully winged beasts. How could those beautiful birds go through her hair? Their wings must've molted and died leaving marks of their presence. just like her faded eyes. The blue birds aren't blue.